How do you communicate quality without resorting to ostentatious bling? 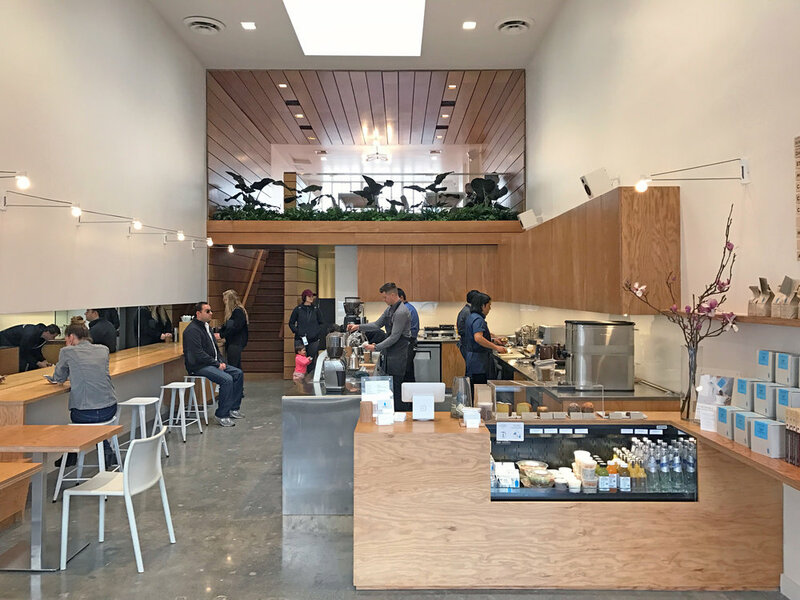 In a neighborhood known for it's lavish, gilded retail spaces, this cafe continues our exploration of modest materials utilized in elegant ways to reinforce the client's mission and ethos. 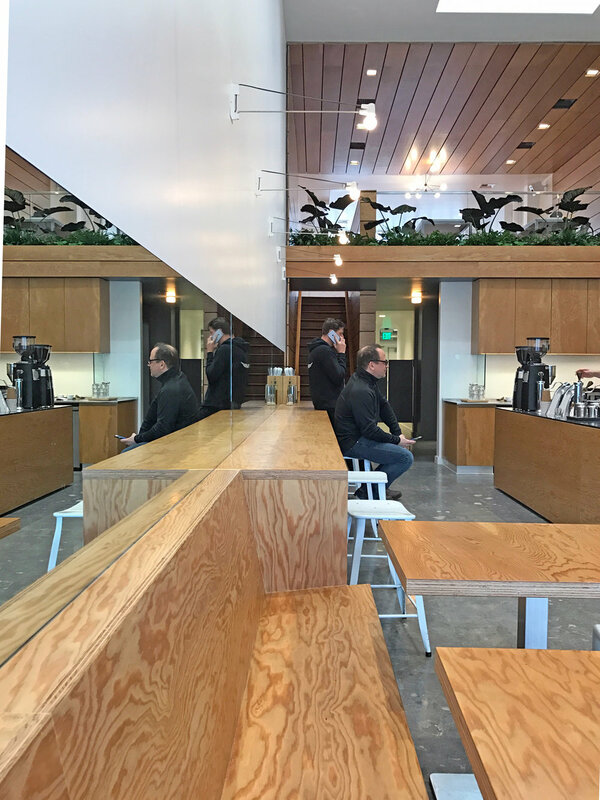 A minimal palette of construction grade Douglass Fir plywood, stainless steel, and glass add texture and warmth to the existing space's exposed concrete floor and white painted walls. 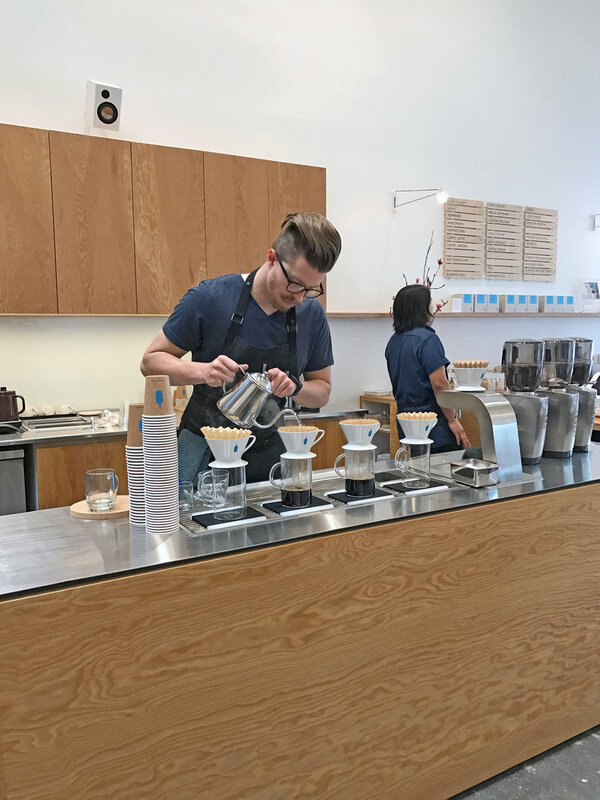 A folded stainless steel plate service bar puts pour-over and espresso coffee preparation at center stage. 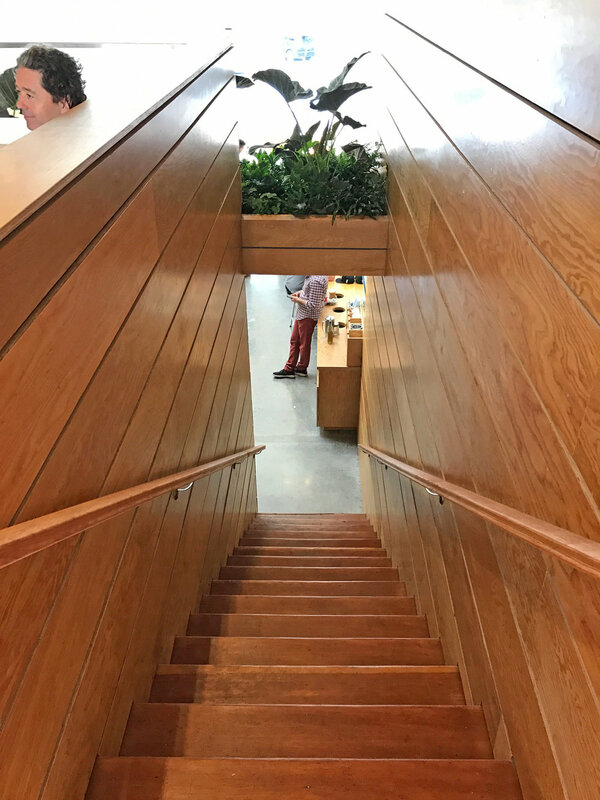 At the mezzanine, a planter filled with living plants takes advantage of a large existing skylight above, bringing the outdoors in and adding life, literally, to the space.